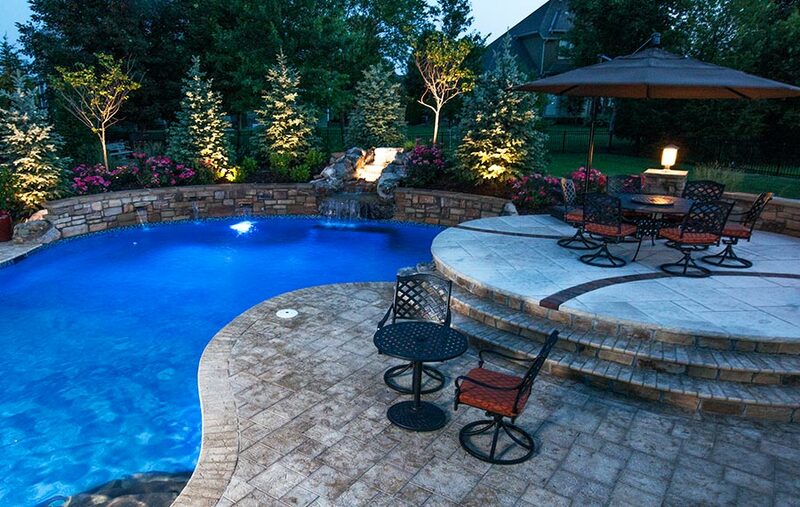 This custom backyard oasis was part of a brand new build and was coordinated with the builder of the house. 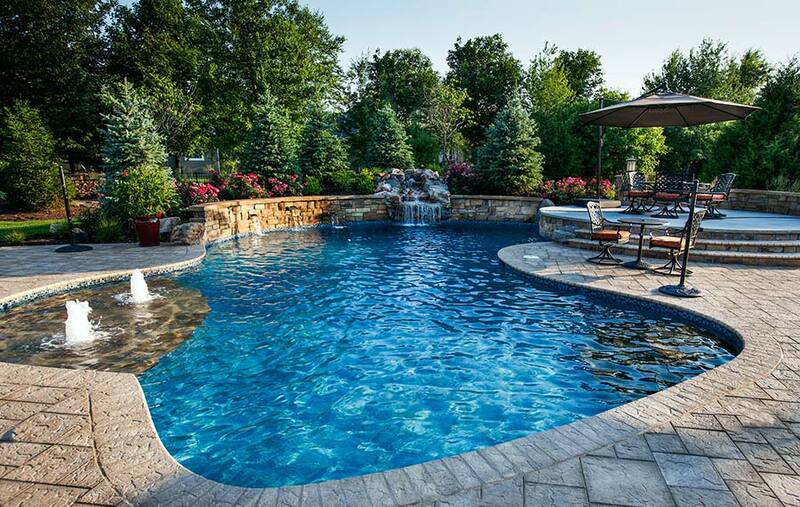 The owners wanted a complete outdoor living package, which included a pool, but also incorporated their love for baseball. In addition, there were some drainage issues to be considered in the overall design. 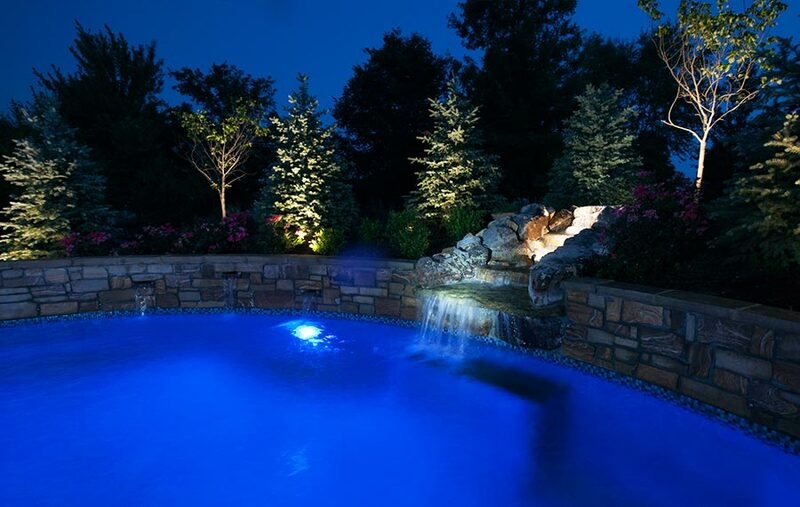 The owners wanted the pool to incorporate water movement and sound. So a natural boulder waterfall was created which flows into the saltwater pool. 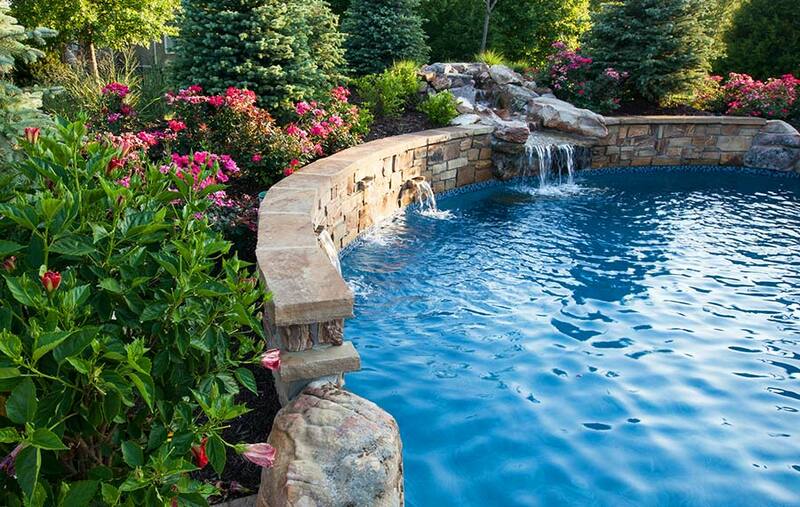 The sun ledge features built-in bubbler fountains, which provide additional soothing water sounds. 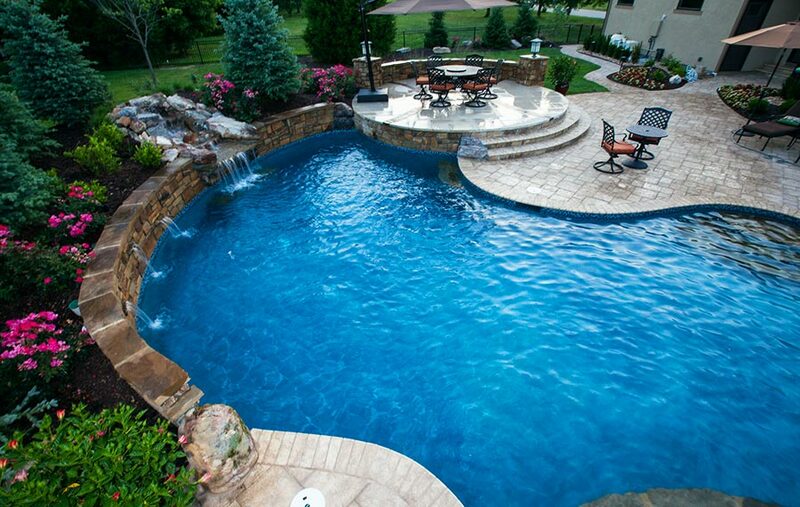 The pool deck is further enhanced with tiles that are made specifically for a southern climate and doesn’t get hot. To showcase their love for baseball, a special elevated patio was designed in the shape and color of a baseball. Off white stone created the backdrop for darker clay tiles curved into “seams”. The various changes in elevation and beautifully curved rock walls are more than just visually aesthetic, they funnel rainwater away from the house and outdoor living spaces. 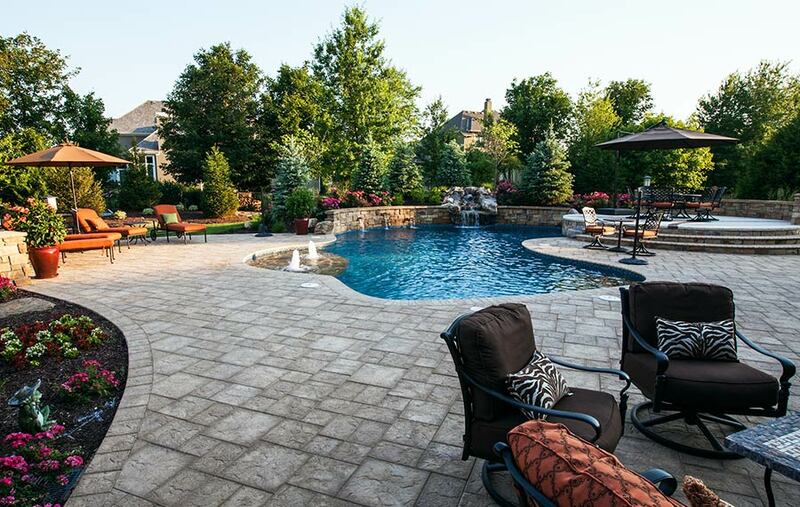 Since the outdoor space was designed to perfectly match the new house plans, the spaces work together flawlessly and it truly is a custom backyard oasis. 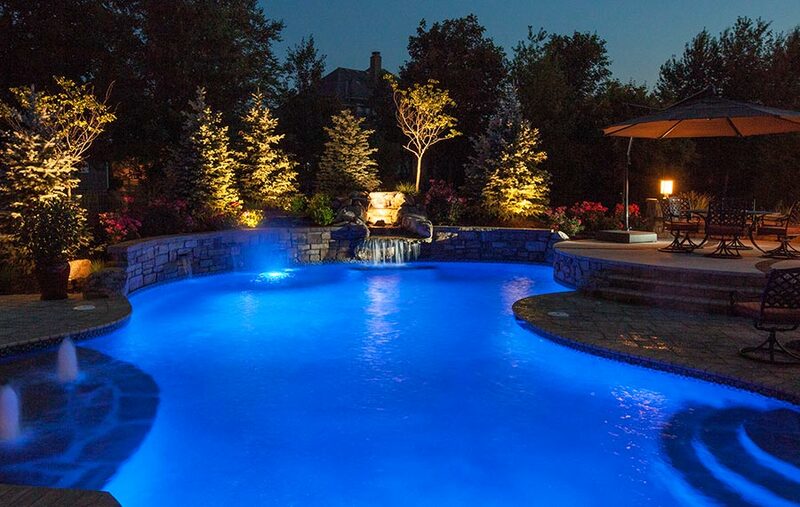 This was such a successful project that it inspired several other property designs in the area.